The Chicago Blackhawks have some of the most historic rivalries in National Hockey League history. Although many of them are in the past, the Hawks have earned plenty of enemies in the past decade with their three Stanley Cups in six seasons. Here are the top three current rivals of the Blackhawks. Although it can be argued that this is a historic rivalry, the strife between the Hawks and Blues is alive and well today. Alongside the Red Wings, the Blues are considered to be one of the Hawks’ greatest foes. The Blues are the enemy now, and Hawks fans love it. The Hawks and Blues have met in the playoffs several times, but the perfect example of the rivalry took place in round one of the 2016 Stanley Cup Playoffs. Former Hawk Troy Brouwer destroyed Chicago’s hopes of repeating as champions when he scored the game-winning goal in Game 7. Near the end of the 2017-18 season when the Hawks were out of playoff contention, they had one mission: ruin the Blues’ playoff chances. 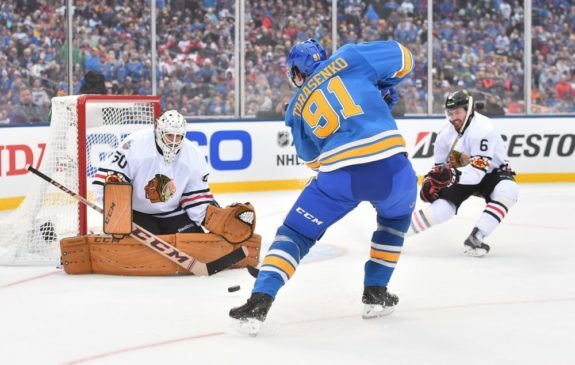 The Blues were close to the final wild-card spot of the Western Conference, and the Hawks had the opportunity to knock them out of the playoffs. Although it took the Blues’ final game of the season against the Colorado Avalanche to seal their fate, the Hawks still played a role in it. This goes to show that no matter what, there will always be hatred between these two teams. The roots of this strife can be traced back to the 70’s, though the most prominent era of this rivalry has been recent. Since 2010, the Hawks and Kings have five Stanley Cups between them; three for the Hawks and two for the Kings. The two teams faced each other two years in a row in the 2013 and 2014 Western Conference Final. The winner of each series won the Stanley Cup Final that year. 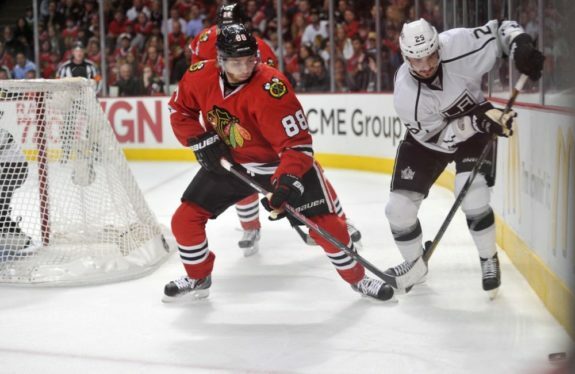 In 2013, the Kings were trying to repeat as Stanley Cup Champions when the Hawks and Patrick Kane erased their chances in double-overtime in Game 5. In 2014, the Hawks were trying to repeat themselves, but their hopes were crushed when Alec Martinez scored in overtime of Game 7. Although their rivalry isn’t as bitter as the others, it’s still one for the ages, and the two teams are always exciting to watch when they face off. 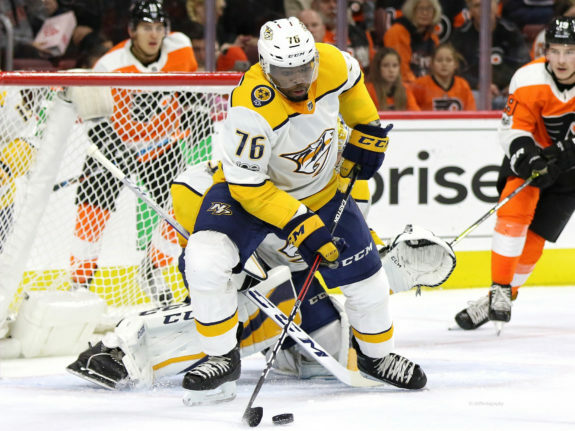 The rivalry with the Predators is slightly different. There is plenty of tension between players and history to make these teams hate each other, but that’s not the core of the animosity. The real beef is among the fans. Go on Twitter when these teams meet, and you’ll see what I’m talking about. These two fan bases hate each other. From Nashville-based publications writing about how their fans are better than Hawks fans to brawls at games, the animosity makes for a pretty entertaining rivalry. The Blackhawks have made plenty of enemies as they’ve dominated the NHL this past decade. Some are pure hatred, some are based out of respect, and some are mainly between fans. Either way, they make for some of the most captivating rivalries in the league.